These gears delivers unique price-quality ratio. 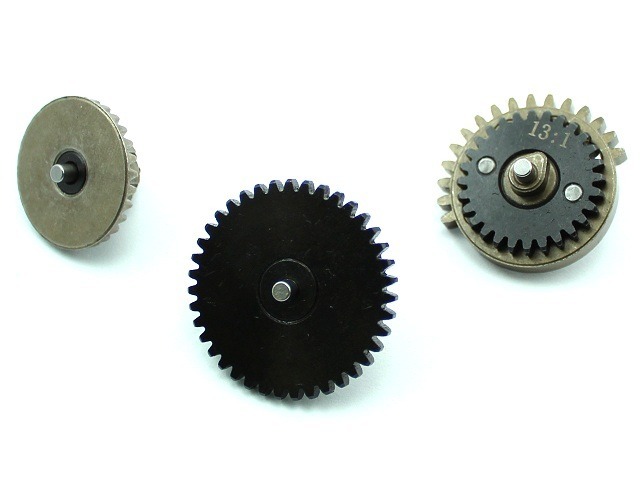 Their most stressed parts are manufactured on CNC machines definitely exceeding stock AEG gears. This ratio is called "High Speed". 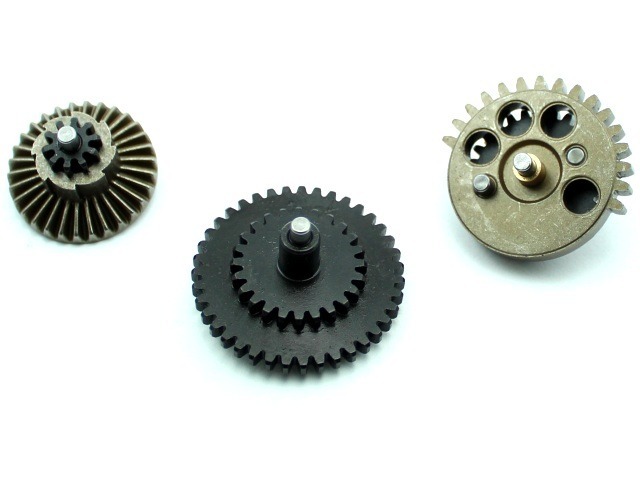 Gears have different diameters and less teeth. Thanks to rotate about 10-20% faster and gives higher ROF. We recommend using spring up to M130. 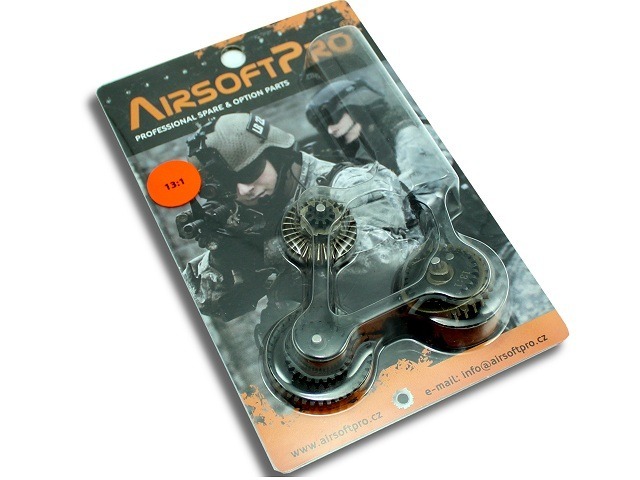 Gears are suitable for the most of airsoft guns with gearbox type 2 and 3. Not suitable for weapons SR25, SVD AEG, PSG, L85.